Well, folks... I'm back again. I'm so thankful to have the opportunity to be with PTI once more! 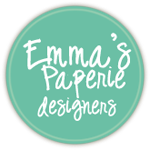 I started with Papertrey back in the same year that my youngest was born... 2009... whoa. Seriously, it seems strange that it's been so long. 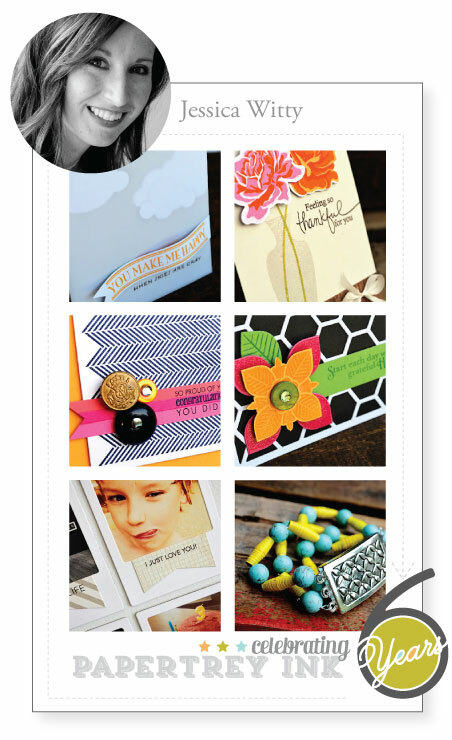 To mark the beginning of Papertrey Ink's 6th anniversary, Nichole asked us to pick out 6 of our favorite projects. Wellll... that proved to be a bit overwhelming to me :) There have been a LOT of PTI projects over the years! I went back and checked out last year's favorites post and realized that I've already chatted about some of my all time faves, so I decided to narrow things down and stick with my some favorites from this year. These may not have been the ones that received the most comments from you guys, but they're just the ones that really resonated with me. Ok, seriously... the Fabulous Frames set and die? Still love 'em. Definitely some of my favorite products from this year. The color combo is bold and saturated and super bright, and it all works for me here. What can I say? Clean and simple steals my heart every time. The Sweet Life being released at the same time as Mega Gracious Vases was just too perfect for me. 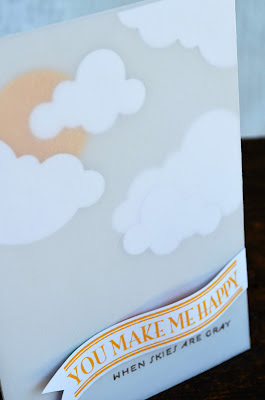 The Sweet Life is one of my all times faves for trying new color combinations... I had a tough time deciding between this one and my other Sweet Life card from that release! Plus, Mega Gracious Vases done with clear embossing powder will always be a win for me. I might have been a wee bit nervous to try my hand at making my own beads... but that is SO what I love about doing this every month! I could not have been happier with how my Beautiful Beads project turned out. My 8 year old and I sat around one afternoon, each of us working on making our own beads and crafting away, so this project has some sweet memories for me. Lovely Layers turned out to be an unexpected favorite for me... you know I love a versatile set, and this is a great one. Hands down, sunshine is my absolute favorite subject for cards. 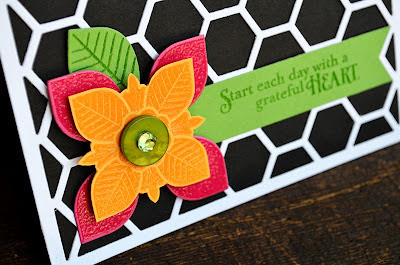 I am such a sucker for sunny cards so when the fabulous We Go Together set came out with a quote from "You Are My Sunshine..." yeahhh... LOVE. 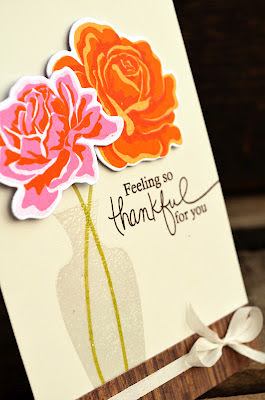 Layering vellum over die cuts? LOVE. Soft Stone & White cardstocks? LOVE. Thanks so much for sticking around with me this year and for all of your lovely comments. I read each and every one and am a little amazed that you would take the time to share your thoughts with me. You make me happy and I'm very thankful to be here, doing this, and chatting with you. Thank you for your inspiration. I look forward to seeing you work as each release day approches. Loving your clean and simple style! 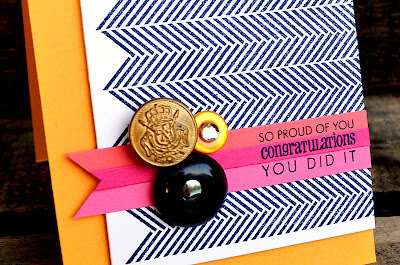 And the velum card...so clever! Glad to know we'll be seeing your PTI creations for another year! Thank you! Jess, I'm so glad that you are a part of the PTI DT! I look forward to seeing your amazing cards each month! Thank you so much for your inspiration! I look forward to seeing your newest creations! Hugs! 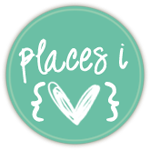 Hi Jess, I have been following your blog for a while and I absolutely love seeing your creations every time, there is something new and inspiring every time! And I love that you do not do cards only! :) have a wonderful week! Delightful! i just love'em all!! The beaded bracelet is just WOW. Very un-PTI, very un-Jess Witty. I love those instax frames too... you totally convinced me to get that set with it! 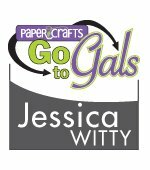 Hi Jessica, well I am so glad you'll be with Papertrey for another year, because you are one of my favorites there. Your ideas are always original and I always fall for CAS. I am looking forward to get another year of inspiration from you. 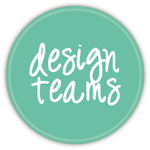 Jessica - your magnet projects prompted my purchase of the Fabulous Frames stamp and die sets ;-) SO I owe you a huge thank you! Keep on designing your amazing unique projects and I will probably keep on 'having to buy'!! Jessica - I love the variety - each work is very different from the last - what a talent that is. You and your projects make us happy too. You never fail to inspire me with you innovation and talent. You're just AWESOME, woman. Fabulous choice of projects, which must have been so hard to do as you are always fabulous! Thanks for sharing it all with us. I love your work, especially when you do food posts. I am always looking for different food craft combinations. Very inspiring. Looking forward to another great year. All your projects are great, but I really love your fridge magnets! Finally getting a chance to see everyone's projects and yours is the first one I checked out. Of course, most of these are some of my favorites of yours too ;)!! Have a great day! 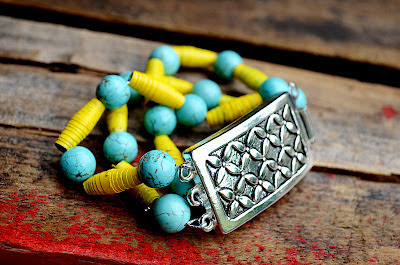 Lovely projects and the beads are just fun. Jessica - YOU make me happy when skies are grey, sunny, whatever. In addition to your beautiful projects your blog posts never cease to inspire me. I've loved your work for a long time, Jessica, & these are great examples. I think I'm going to have to get those vases since I already have Sweet Life--love that card! Great project. 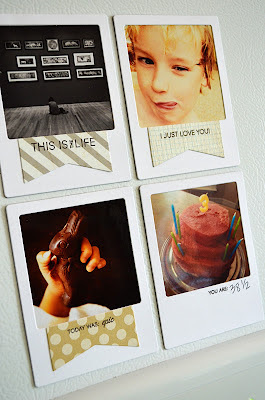 Love the Fabulous Frames magnets. Thank you for your contributions to PTI this year. Congratulations on another year of awesomeness! I think you invented vellum over die-cuts! LOVE IT! Jessica, we are so lucky to have you as a member of the PTI team. 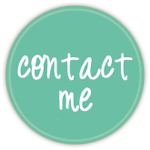 I look forward to each and every one of your posts - your eye for detail and your amazing style are so inspirational! Thank you so much for all your hard work and I am SO happy you are continuing on with Papertrey.